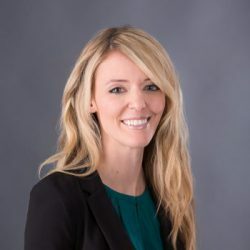 Maria (Kelly) Cunningham is a certified physician assistant who specializes in the treatment of acne, warts and eczema while also detecting skin cancer and providing treatment options. Maria enjoys working with patients to create a successful treatment plan. Nothing makes her happier than seeing a patient become more confident and comfortable in their own skin once a condition is treated. Everyone made me feel so comfortable. Very nice office and very nice people. Explained everything to where I could understand it? This is a great facility with even better staff. Very friendly and welcoming feeling when I walked through the door! I was made to feel very comfortable during my exam! I left the office with peace of mind & no suspicious areas on my skin Thank you very much! The staff and his doctor always do a wonderful job. It was my second visit with her today.She is very nice she’s very helpful and she explains things very good.I would recommend her to anyone wanting to see a good Dermatologist. Maria Kelly is an excellent PA-C , plus a very good public relations person who will engage you in conversation when a question about the procedure comes up, "Class Act all the way. Maria Kelly is great! She has a very pleasant personality. She was easily able to identify my area of concern, was very professional, and thoroughly explained my diagnosis. She informed me step-by-step of the upcoming procedures. I will definitely keep her as my dermatologist. Great and friendly staff and doctor. I would recommend derm specialist.